This month's challenge is to make something for a mother in your life. Not only will you have a chance to win an AWESOME prize package, you will have something to give to someone special on Mother's Day. 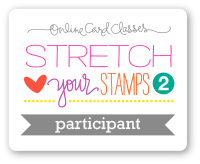 Please note: We have changed our rules so that all entries must use a Crafter's Companion stamp to be eligible to win our monthly prize. We can't wait to see your Mother's Day cards and gifts! . ** You may combine our challenge with other challenge blogs, but your post must contain our blog name and link back to us. If you do not have a blog, that's okay too. Just email Denise at lala3237 at verizon dot net with your creation and and the name of the Crafter's Companion Stamp you used. 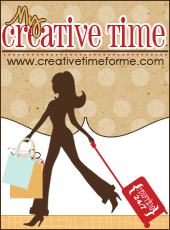 *** Do you love Crafter's Companion products as much as we do? Become a guest design team member! We will announce a guest design team member every month. Simply put an asterisk (*) next to your name when entering your submission into Inlinks below. The guest designer will be chosen randomly. The Boxer, Envelobox Creator, and Ultimate Advanced Techniques DVD have not even been released yet! These products can make so many things it's incredible. Here's more about them. Add the finishing touches to your three-dimensional hand crafted cards by packaging them in matching envelopes! This tool can be transform any sheet of regular or patterned cardstock or paper into any one of hundreds of different envelope sizes ranging up to 8” x 8” and up to 1” deep! Perfect for custom cards or as an unusual alternative to regular gift boxes. Designed to work with your Ultimate Crafter’s Companion Tool, but can also be used as a stand-alone product. Measure, score and fold accurately with this innovative Boxer Board. One side includes imperial (inch) measurements up to 8 inches in 1/8” increments, and the reverse side features metric (cm) measurements up to 20 cm at ½ cm increments. The lines at each edge are engineered differently to enable you to create custom size boxes with ease. Simply use two identical size pieces of cardstock, and this board will make your lid slightly larger to fit perfectly over your box base. Designed to work with your Ultimate Crafter’s Companion Tool, but can also be used as a stand-alone product. This inspirational DVD is crammed full of crafty tutorials for advanced construction techniques using the Envelobox Creator and Boxer boards in conjunction with the Ultimate Crafter’s Companion tool. The DVD features 12 step-by-step projects including stepper cards, tea light holder card, accordion file box, swing cards, treasure chest, hinged box, set of drawers and more. 2 ½ Hours of instruction and projects!